It is high time you stopped shading your "English bankruptcy" with the popular pidgin clause, "who English epp?". I have realized that 99% of the persons who make this statement cannot express themselves in simple and correct English, so they use this statement as a cover-up for their inadequacies. It will interest you to know that learning is a continuous process. In other words, until you die, you don't stop learning. Learning a complex language like English requires a relentless effort due to its dynamic nature. The day you stop learning it is the day you stop knowing it. Most persons can say a whole lot in Pidgin English but are helpless when communicating in Standard English. This is either because they are oblivious of the workings of the language or they lack the right vocabulary to drive home their thoughts. The latter is the reason for this article. There are several ways you can build your English vocabulary but only a few shall be discussed in this article. The different ways discussed here have to do with reading, but "what do you read?" becomes the question. Novel in this context comprises story books, inspirational books, drama texts, newspapers, journals, articles or any literature. Writers have a way of indirectly showcasing their linguistic competence through their works, so they try as much as possible to make use of words that are not commonly used among English users. Inarguably, you will stumble upon a thousand and one new words if you dedicate a session of your time to reading novels. The bitter truth is that most of the persons who make out time to read novels don't bother to check the meanings of new words and how to use them when they come across them. This is like not reading at all! Therefore, for you to build your vocabulary, you must first of all read the novel, then, bring out the new words, check for their meanings and how to use them in different contexts. The feeling that cartoon network is for children has deprived most adults from building their vocabulary and learning good English. You will learn a whole lot if you cultivate the habit of watching cartoon network. The English used in cartoon network is standard and spiced with idiomatic expressions. I got to know the meanings of most English idioms through cartoon network because the characters there don't just say these idioms but also express them with gestures for you to know what they are actually talking about. Bloggers are creative people. They can report a particular story using different words without altering the fact. Since they are writers, they also have a way of projecting their writing prowess. This is achieved through the use of new words in their posts, use of figurative expressions and strict adherence to the rules of concord. When I mean bloggers, I don't mean the "copy and paste" bloggers but those who provide original content. 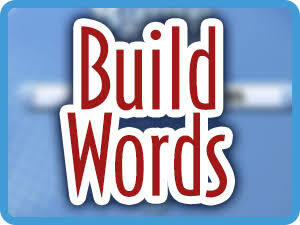 Therefore, reading blog posts on quality blogs can really build your vocabulary. I always tell my students to watch British movies if they must speak good and polite English. British English is very polite and formal unlike American English that is garnished with a lot of slang and "F-words". It is not enough just knowing these words. Learn to put them into use - make sentences with them, look for their different forms (their word class) and how to use them appropriately. If you fail to do this, they might evaporate. Remember, practice makes perfect! In sum, what you don't know is far greater than you. Therefore, you must study to show thyself approved! These are really helpful tips. Thanks Tammy!